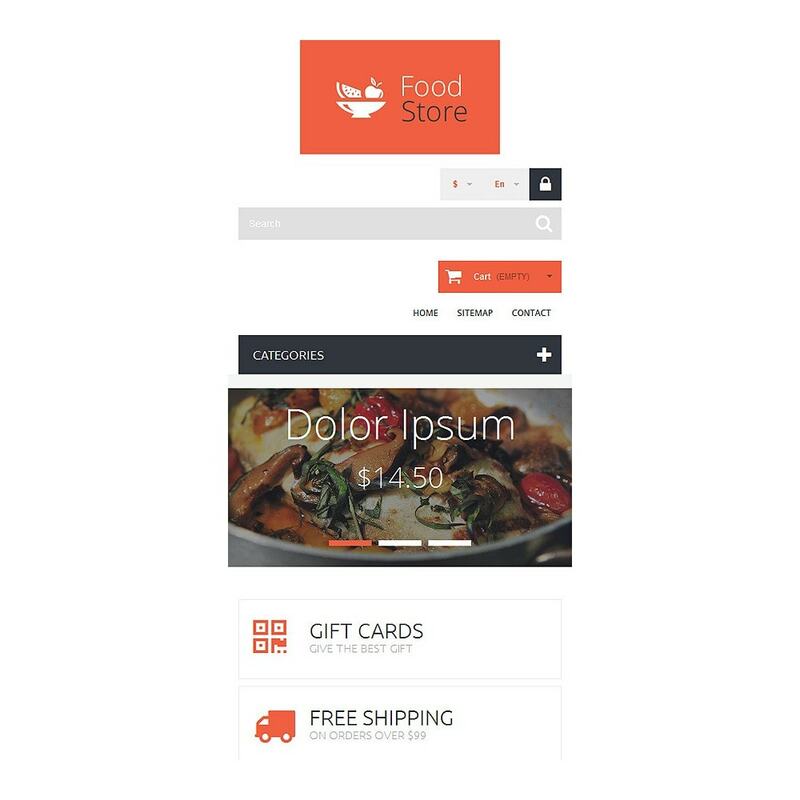 This food shop PrestaShop theme is a multilingual solution that will help you internationalize your eCommerce site. 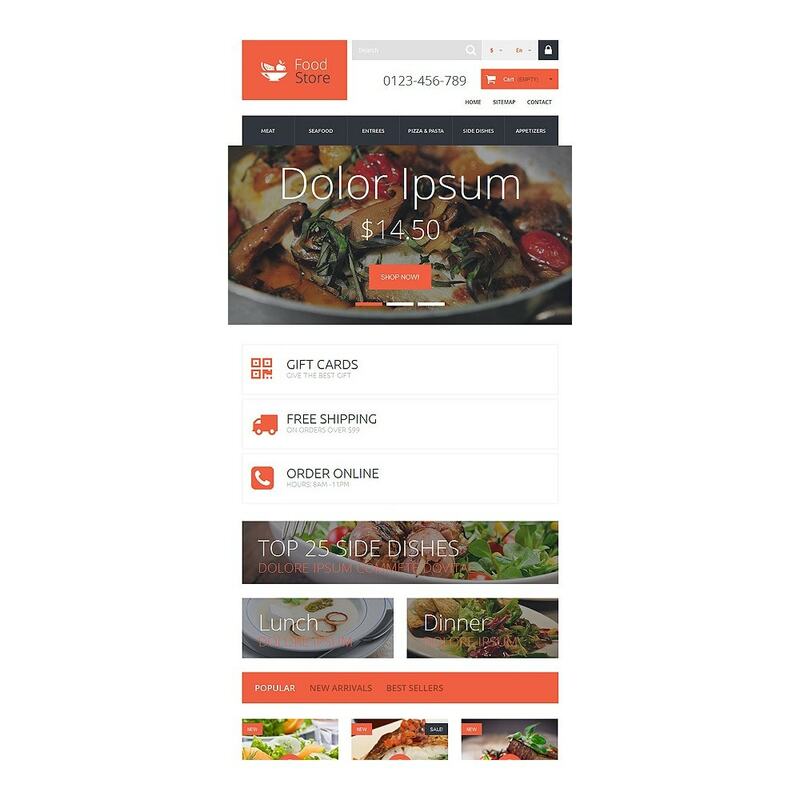 Its visual side is heavily focused on imagery including promo banners, background picture and slider with images of dishes, names, prices and a button. 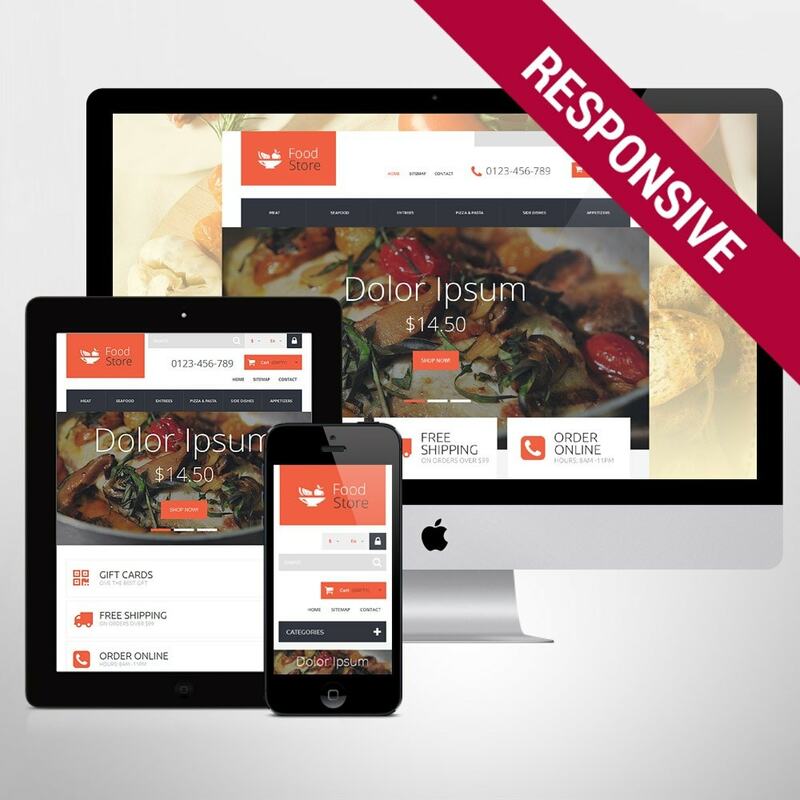 This design is also dotted with red call-to-action elements, which can make your e-store more incentive. 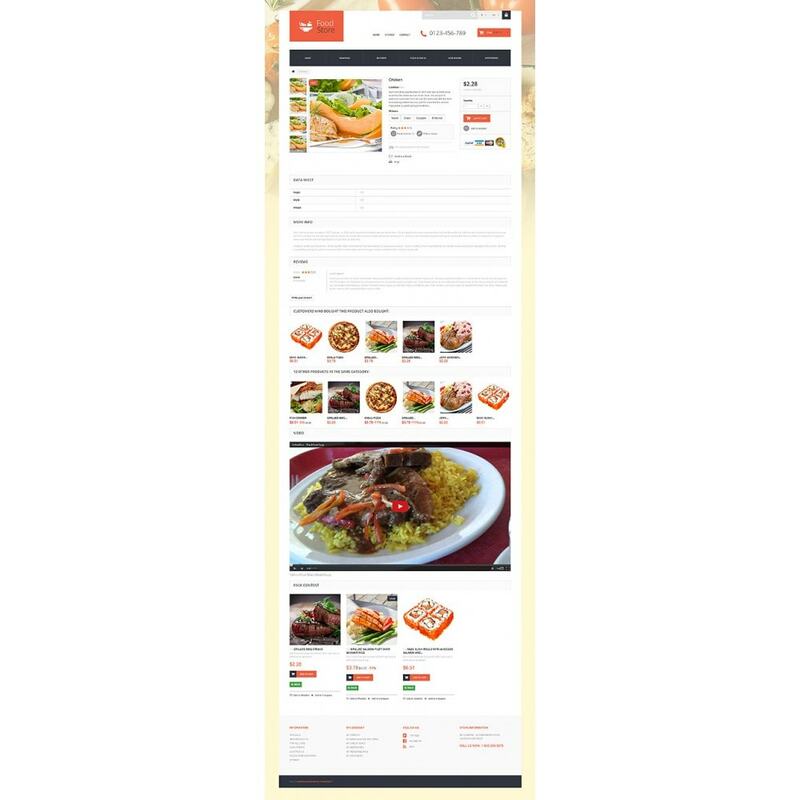 Popular, new and best-selling items are arranged in a compact four-column structure. Due to a lightbox option, you can quickly check details of those items straight on the front page. 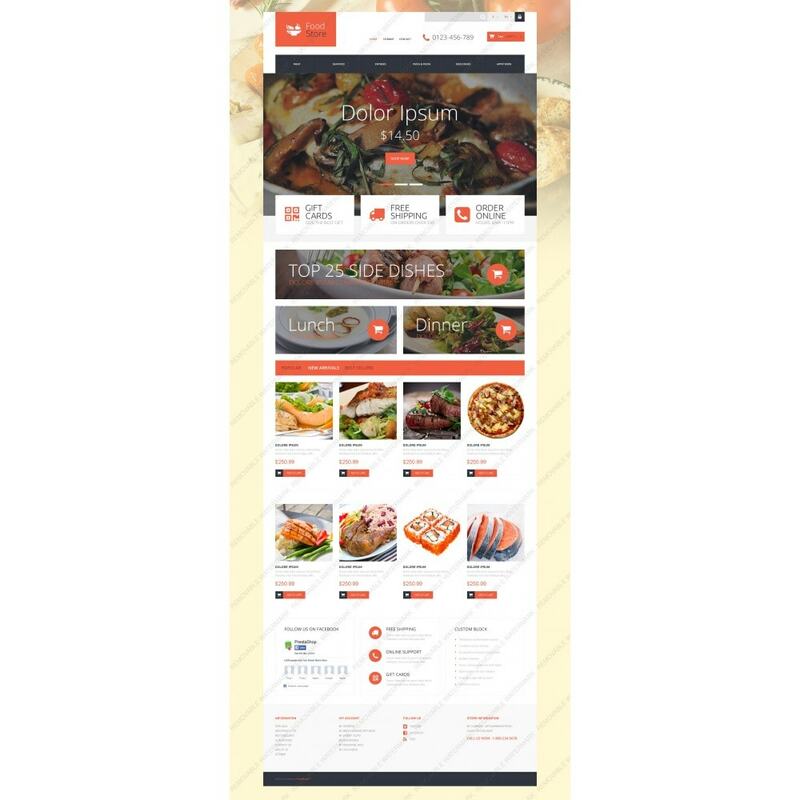 The theme also features a mega menu containing columns of lists and product images. This navigation tool can largely enhance the usability of your online portal. 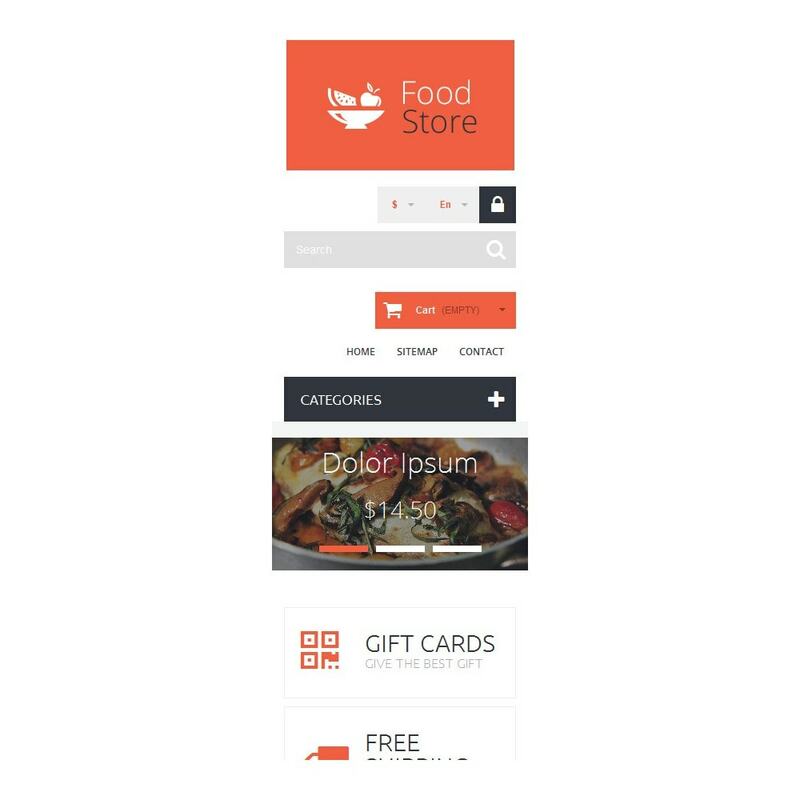 This template can be used to build food, drink, cafe, restaurant, agriculture, and brewery websites.